Advanced materials and more sophisticated ventilation features make Zirkon 5 CP an upgrade from our Onyx tent-tipi series. Zirkon is a perfect balance between price and performance for a wide range of adventurous camping activities. Offering you the perfect compromise between price and performance, Zirkon is a tent design that's perfect for backpacking, camping, hunting & fishing, cycling, climbing – or simply for the children to sleep out in the garden on a summer's night. Everywhere you go, Zirkon Light is a tent that gets attention for its rust red colour and heavy-duty performance, just like the rugged and insulating mineral it's named after. Or choose Zirkon CP (Cotton/Polyester) to benefit from all of the Zirkon's design features but in a breathable cotton polyester fabric. 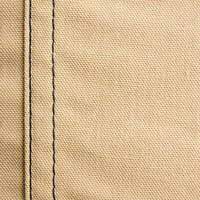 Light tan color provides a very warm and pleasing feeling inside the tent. Highly breathable and strong cotton/polyester fabric also creates a much better internal atmosphere than normally experienced in tents. The tightly woven fabric and high class impregnation gives high water repellency. 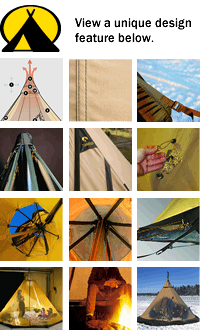 Tentipi Adventure tent enthusiasts around the planet are not just enduring the elements, they're embracing them. They're not merely surviving, they're thriving. They are actively using and appreciating the unique features Tentipi Nordic Tipi's have become world famous for. They are thankful for having invested in the highest quality and most elegantly designed shelter systems available anywhere.Buy Tentipi in the USA and Canada at http://mansfieldoutdoors.comAuthorized North American distributor of Tentipi Adventure Products. Explore and buy from our full range of heated adventure tents and outdoor camping gear like stainless steel tent stoves, inner tents, tent porches, tent floors, drying rails and more. After weeks of research I decided to take the leap and purchase the tentipi. I live in Colorado and wanted to be able to go camping during the winter time while having the option to use a woodburning stove. I've gone 3 times since I first purchased it, two months ago. I must admit, I'm very happy with my purchase and know that in the future I'll be able to load this up on a pulk sled and take my adventures deeper into the Rockies. 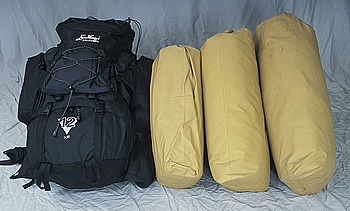 It's lightweight compared to a lot of other canvas tents and very simple to setup. When the time comes I will definitely upgrade. To say the least this tent is awesome!! I have only had a couple of weeks total stay time in it but it has stood up to all the weather an Ohio summer could throw at it. From torrential rain to 90 degree heat it took it all in stride. Although the canvas did get damp during the heaviest rain,never drop came through and I was always dry and comfortable. I was reluctant at first to purchase because of price,but after talking to Mr.Mansfield and getting his reassurance I'm definitely extremely happy I bought it. As far as set up goes it is as simple it seems,about 15 minutes first time and less than ten after that. If your looking for a superior tent that will withstand everything nature can throw at you,this is your tent. 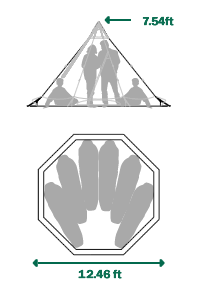 Click the button below to add the Zirkon 5 - (CP) Tent to your wish list.